Web camera with microphone for conéctarte, speak, and to record in a moment. This camera web for PC leads mricrófono and you can record video for youtube or Facebook. Enjoy a video chat in instant-on HD. Connects and speaks, without installation CD. Capture and share HD video in 720 p on Facebook and YouTube with the software Live! 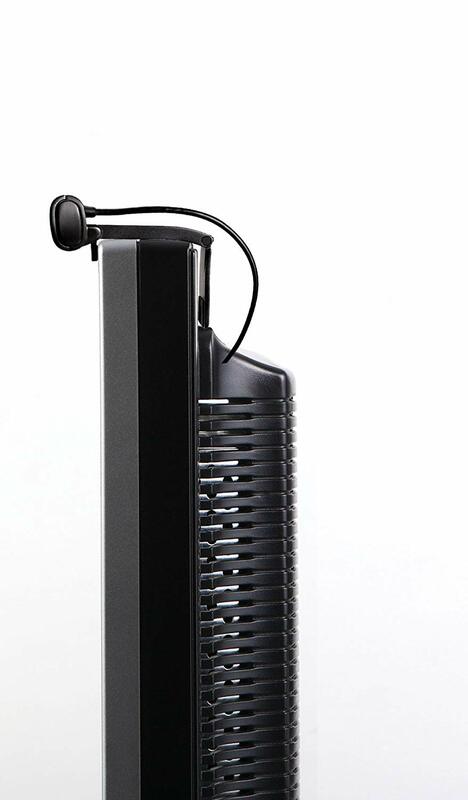 Central 3 Lite. Enjoy a voice more sharp in the chat thanks to the microphone with noise-cancellation that eliminates unwanted background noise. The preview of videos protected by password, ensures that the webcam cannot be used without your permission. The surveillance software and monitoring allows you to control what you see from your mobile device or PC. - The microphone system with noise-cancellation eliminates background noise and offers crystal clear sound in your chats. - The surveillance software built-in Live! Central 3 allows you to monitor your home, your children or your enterprise remotely from a mobile phone or a PC. Simply plug in Live! 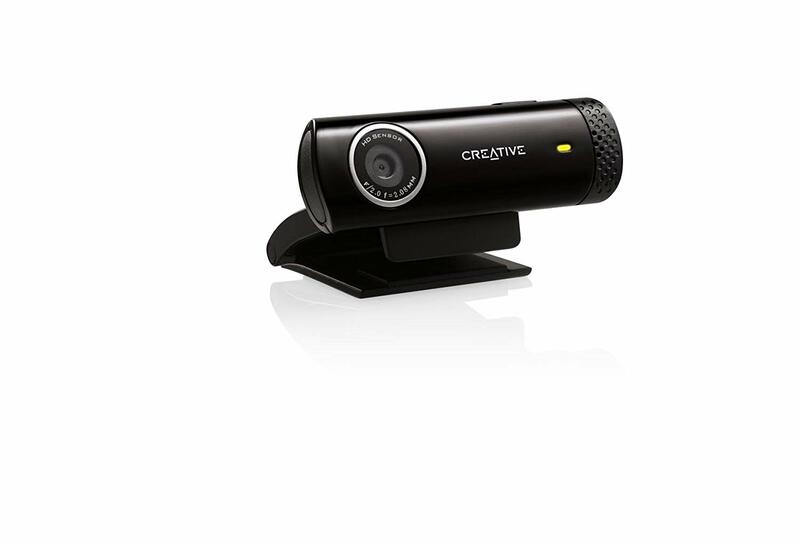 Cam Chat HD to add HD 720p video to your online chats * - no software installation! Download the Live for free! The software Central 3 Lite allows you to record videos in 720p HD and take photos at 5.7 MP and share them in a single click in web sites to popular social networks such as YouTube and Facebook. The videos are captured at a speed of up to 30 frames per second, providing smooth playback and high quality in your computer. In addition, you can also enjoy a voice chat much more clear using the built-in microphone that eliminates noise and eliminates background noise. Life! Cam Chat HD is compatible with Mac. To verify that Mac recognized the camera, the instructions are in the link below: http://support.creative.com/kb/showarticle.aspx?sid=83939. When you use your Live! Cam Chat, the camera of the Apple products, will be the main camera by default. However, in the applications, Facetime, and Photobooth, you have the ability to change the web camera external: Application Photobooth> top Menu bar> Camera> 'Switch between the built-in camera or other': in this case, the application Chat real-time Chat HD>> Video Camera Facetime HD (built-in) or another. In addition to selecting your preference of web camera, you can also select which microphone to use. Simply plug in Live! 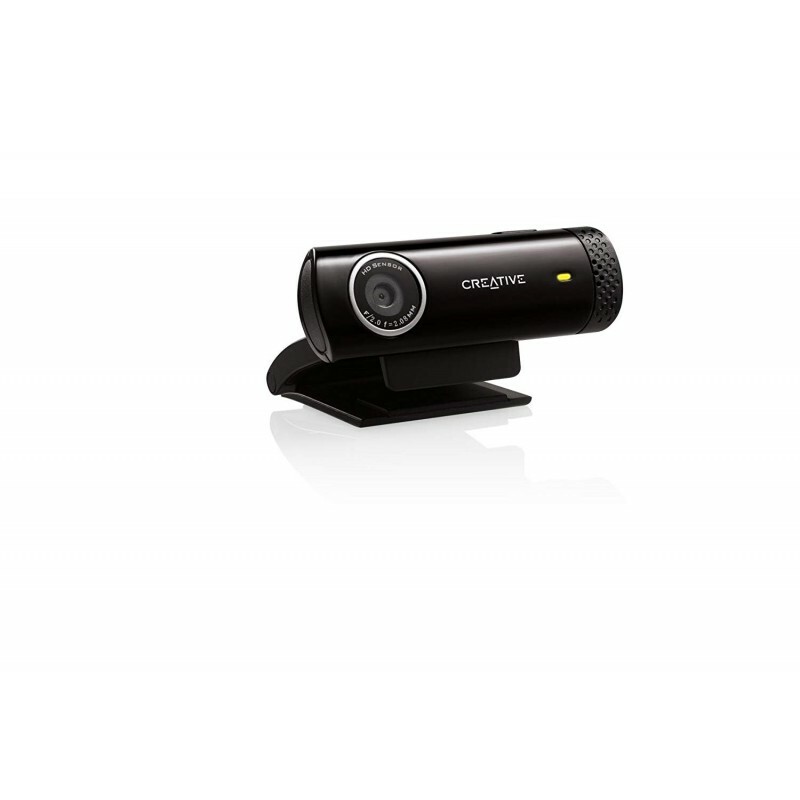 Cam Chat HD to add HD 720p video to your online chats, without the need of software installation. Capture HD videos at up to 30 fps, and share them on YouTube and Facebook easily by downloading the free software. In addition, enjoy voice chat more clearly with the microphone with noise cancellation built-in. Creative Live! Software package Central 2 for improving the experiences of IM and webcam. Flexibility of placement with a fastening base multiple. 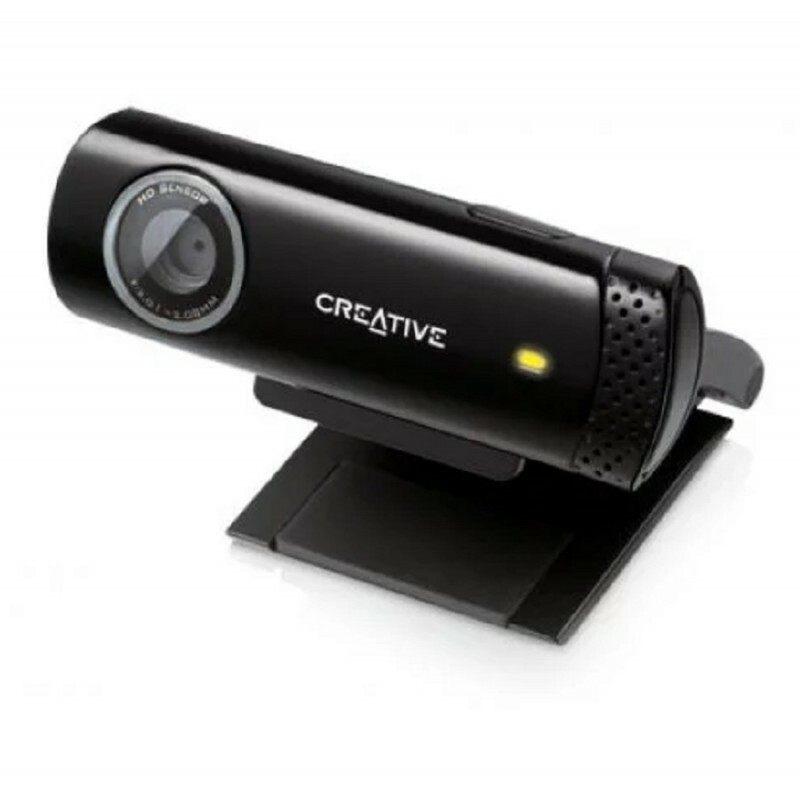 If you're looking for a quick and easy way to enjoy on-line chats from high definition, look no further than the Creative Live! Cam Chat HD. Just plug in and play, don't require installation of software! You can also download the Live for free! The software Central 3 Lite to record HD videos in 720p and take pictures of a 5.7 megapixel camera, then share them on YouTube and Facebook with a single click. The videos are captured at a uniform speed of 30 frames per second and, along with a built-in microphone with noise cancellation, always guarantees a playback of high quality video and voice conversations clear. Enjoy the crisp captures quality video at 720p HD and smooth playback of up to 30 frames per second. You will not have to compete with background noise to listen to with the built-in microphone with noise cancellation. Enjoy only audio clear and crisp, even without the use of a headset dedicated. Enjoy all the convenience of plug and chat, and the tedious hassle of installing drivers. Just connect the web camera to your computer, and chat by video instantly with Skype, Windows Live! Messenger or your instant messaging application favorite. Chats in HD are even simpler when you add touchscreen control. Video and photo sharing with the Live! Cam Chat HD is fast and easy thanks to Live! Interface of touch screen Central 3 Lite (for PC with Windows 7 with a touch screen) that allows you to quickly find the file that you want. In addition, the parental control password-protected, there's no worrying about unauthorized use by your child or any other person. A click is all you need to share your HD videos, favorites with the world. Publish them to Facebook and YouTube easily with the load function with a single click of the Live and free easy-to-use. Software Central 3 Lite. Record videos with Cam Chat HD, and show the world quickly and easily. Life! Cam Chat HD is compatible with Microsoft Windows 7, Windows Vista, and Windows XP (Professional x64 Edition and XP with Service Pack 2); Mac OS X 10.5 or higher; and Linux Kernel 2.6. Use of the Creative Live! The software package Central 3 requires Windows. Other system requirements include an Intel Pentium 4 processor 2.4 GHz or equivalent AMD, 512 GB of RAM, a USB 2.0 port, and 500 MB of free space on the hard disk. Life! 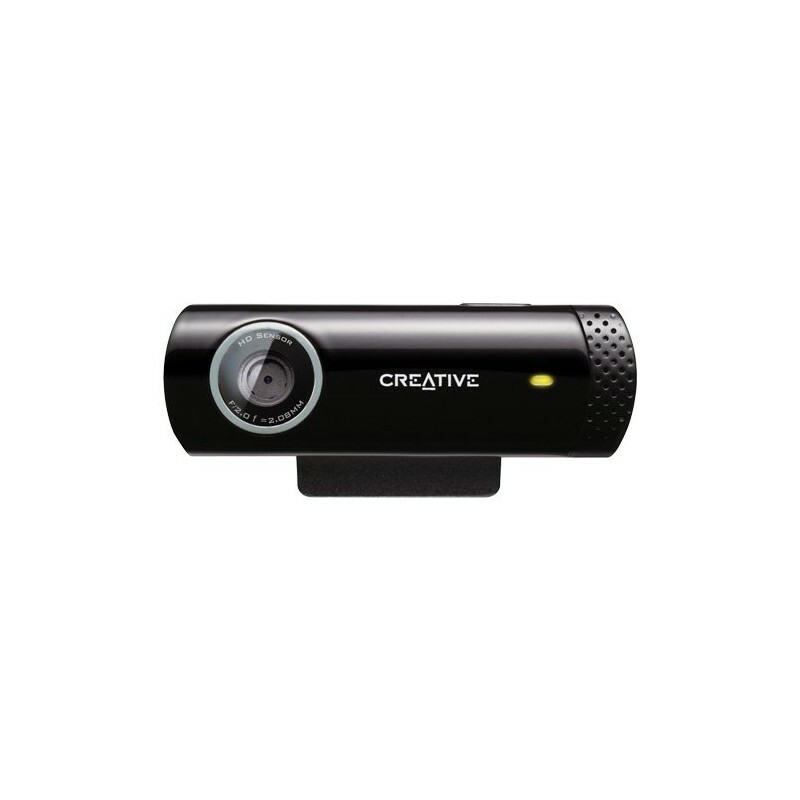 Cam Chat HD Webcam is backed by the manufacturer's warranty of one year. Creative Labs Live! Cam Chat HD Webcam, quick start guide in several languages, 1-year limited warranty. Online (secure): browse our range and add products to your basket. Offline: please see the contact us page for telephone, fax, and email details (you can change your country by clicking on the link at the top of the page). Shipping prices vary across our product range and can be viewed for each product on the product datasheet by choosing the country you are in. 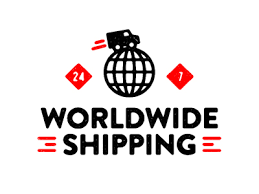 Express international delivery & worldwide shipping. All in-stock orders received Monday through Fridays are shipped the same day. For customers in Europe, the deadline for same day dispatch is 16:00pm. Orders received after these deadlines are shipped the next business day. You can check availability by viewing the datasheet which will display a yellow check mark if the product is in stock availability check mark. Quality is important to Siliceo online Therefore if a product does not perform as described on the datasheet please notify us within 24 months of delivery using the contact form and our dedicated team of scientific experts will examine details of your protocol to determine whether the problem is protocol related or product related. All payment details are described on the invoice that you will receive after your order is dispatched. The invoice will be sent to the billing address you specify and this can be different to the delivery address for the products. We accept PayPal, credit card, cash on delivery, bank and wire transfer as methods of payment, for further details please contact us.